Trailer for the new project "Falling Skies" from Mark Verheiden (and some guy named Spielberg) coming to TNT in June. Speaking of former Battlestar Galactica writers, Ronald D. Moore has joined Damon Lindelof and others on the WGA negotiating committee as negotiations will start soon with the AMPTP on a new contract for writers. 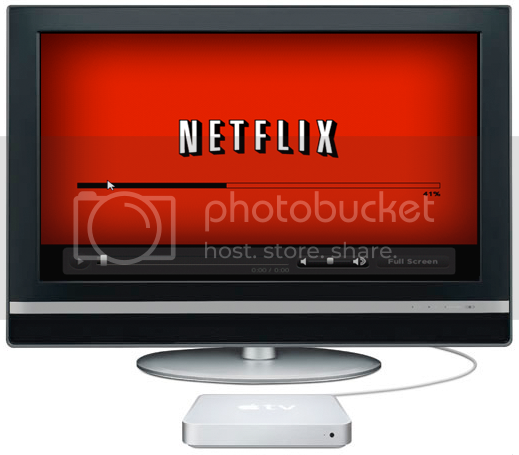 It's been three years since the strike. 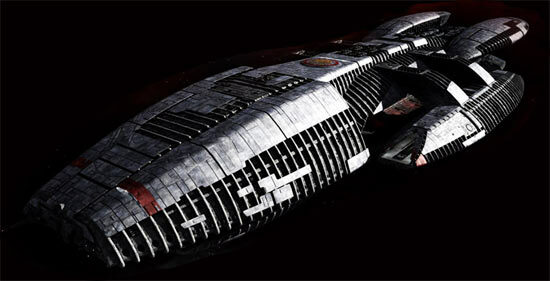 In other news, it was on December 29th, 2005, that the first post appeared here at the Galactica Sitrep. 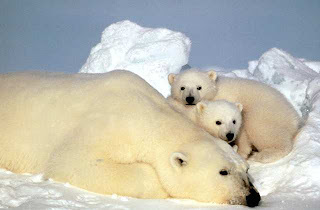 Happy Birthday and Merry Christmas, you wonderful old....Blog! Merry Christmas from your friends, at the Galactica Sitrep. Also, while on Christmas Holiday at home in Oregon, Katee Sackhoff dropped by the Cort and Fatboy podcast show. 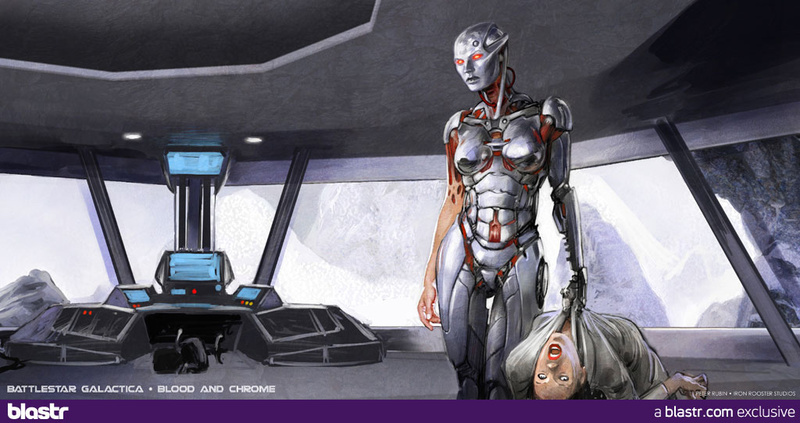 Preliminary concept art for Battlestar Galactica: Blood and Chrome has been revealed. Via, Blastr, HDR, io9, and Screenrant. Those pics were just the first of the many concept art sketches we've been creating. They don't necessarily reflect any particular incidents in the script; as "concept" drawings they're helping us flesh out the new world of Blood & Chrome. And it is a new world, one that owes much to the BSG series of the past but at the same time uses CGI to open up that world in ways that we hope fans will find fresh and exciting. 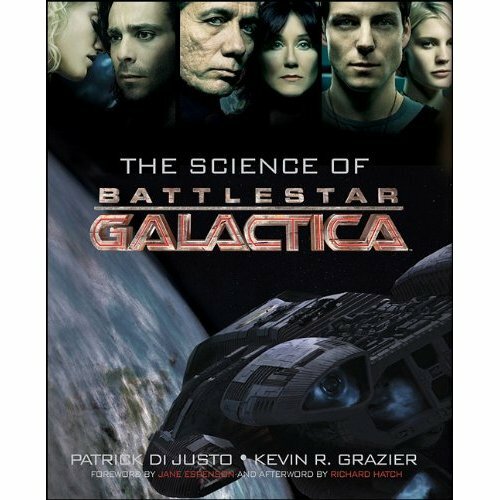 As for the show's status, SyFy has officially green-lit a two-hour pilot, and we have begun pre-production, with filming expected to begin at the end of January, or very shortly thereafter. This is the fun part for me: seeing the script take tangible shape (or "virtually tangible" shape, since practically all of the pilot will be shot on green screen) as our director (Jonas Pate), DP (Lukas Ettlin), VFX supervisor (Gary Hutzel) and a host of artists -- and of course the cast that we'll soon be gathering -- bring it to life. 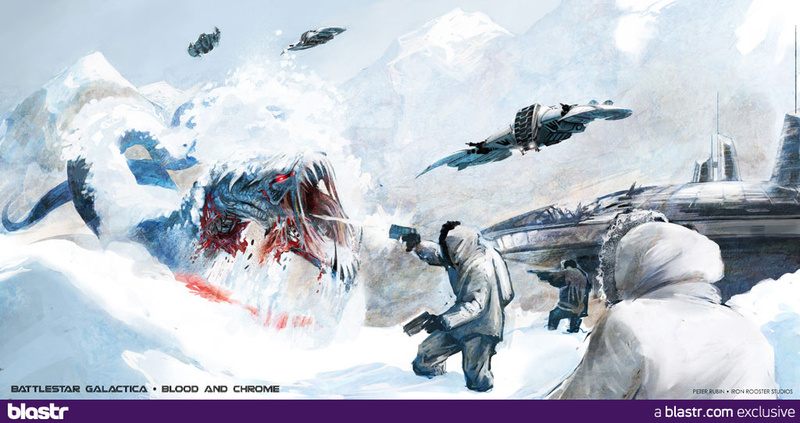 For more background on Blood and Chrome see our previous coverage here. 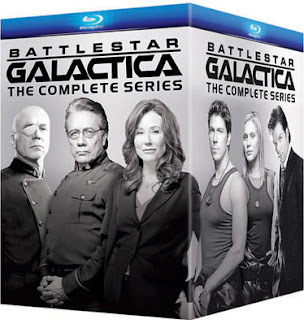 The Complete Battlestar Galactica on Blu-ray. 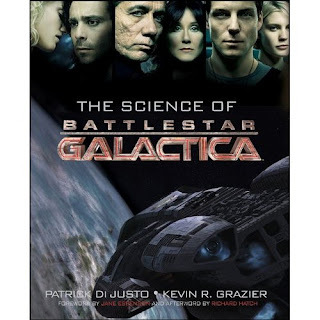 The Science of Battlestar Galactica by Patrick Di Justo and Kevin Grazier, BSG's Science Consultant. 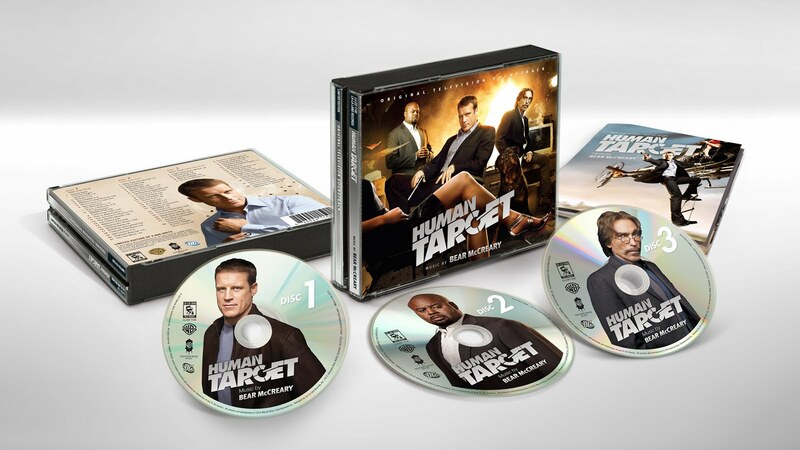 Bear McCreary's score for Human Target. And check out this special Christmas Holidays presentation from Bear. Video by katamaran78, thanks to Mo Ryan for pointing it out. 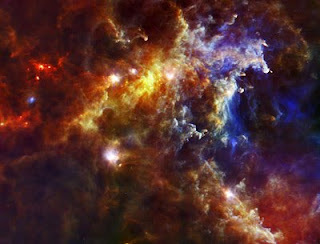 The European Space Agency (ESA) invites you to get inspiration from their images of stars, planets, spaceflight and of our own planet Earth seen from space and to create your own work of art. Choose your favourite image from the selection on our Wall, let your imagination run wild, create your art and share it with us on Facebook and Flickr. 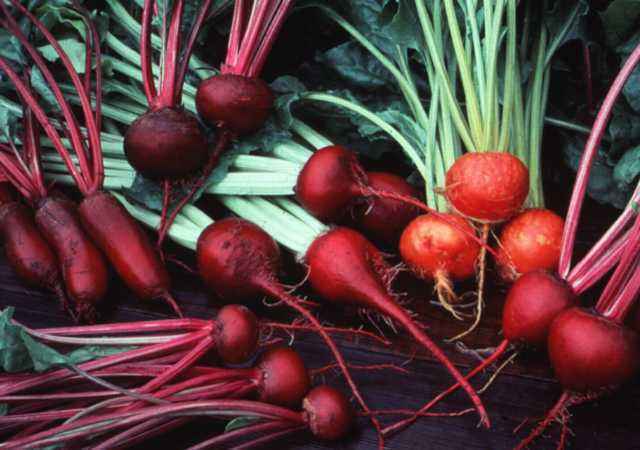 The creations that collect the most “Likes” will win the competition.